As the day turns to dusk, grab the kids, hop on a boat and sail across the waters to watch your favourite film on a big floating screen. 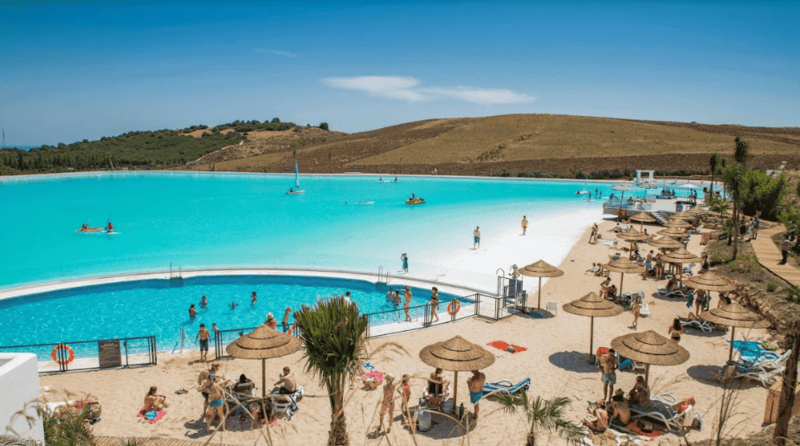 Welcome to Alcazaba Lagoon, the first Crystal Lagoon in Europe. 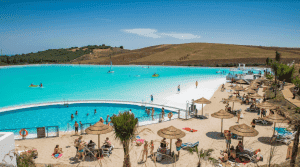 The luxurious €200 million residential development, in the hills of Casares, next to Estepona Golf, opened its amazing Crystal Lagoon last summer, and it is already wowing visitors with its sparkling turquoise waters and white sandy beaches. 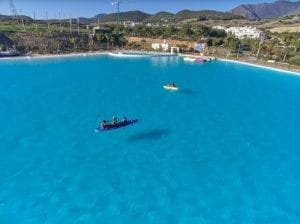 And this summer is set to get even better as a brand new water-side chiringuito opens along with the giant floating cinema. 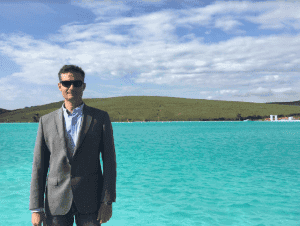 “You will be able to sit, have a beer and something to eat while you watch a movie, or even a football match, with the backdrop of the lagoon,” said Pablo Chenevey, General Manager of Osim, which is developing the project. “We’ll be showing everything from kids films to World Cup games and cult classics,” he explained. “But there’s so many new things to offer… and some nice, big surprises,” added the Chilean expat, whose company is behind numerous developments along the Costa del Sol. 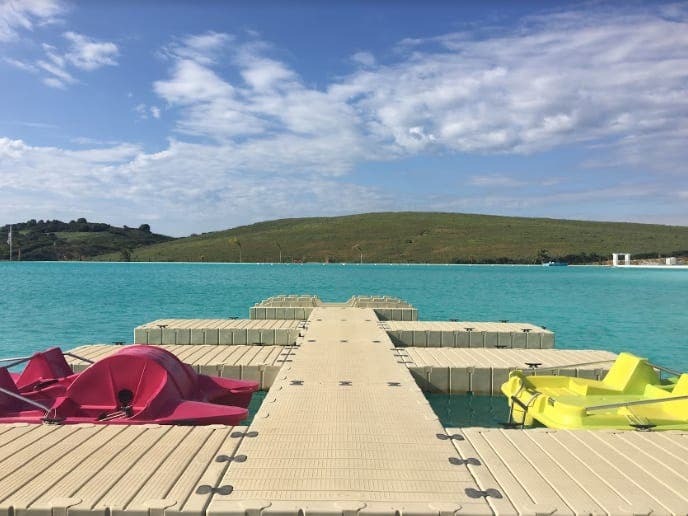 With a depth up to three metres and a surface area of 1.4 hectares, the private lagoon is a watersport lover’s paradise, with the option to freely use kayaks, stand up paddles, sailing boats and pedalos. Chenevey said: “We wanted people to feel close to the water, within walking distance from their homes, without having to drive to the coast. 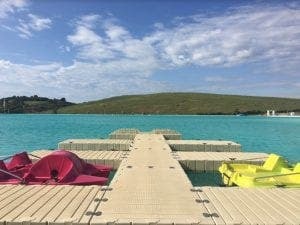 “So we said, why don’t we have a private beach for our clients? 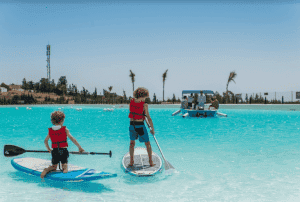 The lagoon is also environmentally friendly as it uses little water consumption, little electricity and next to no chemicals. 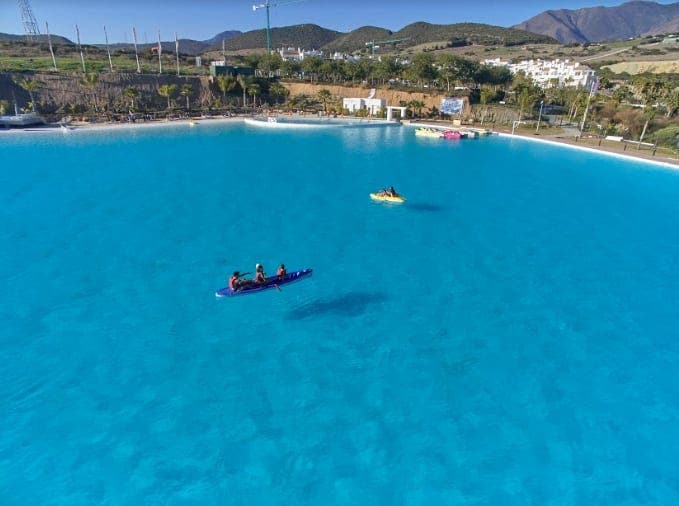 Chenevey added: “You might think that we use a lot of water but the great thing is that once the lagoon is full, you need just half of the water you would use for a lawn. 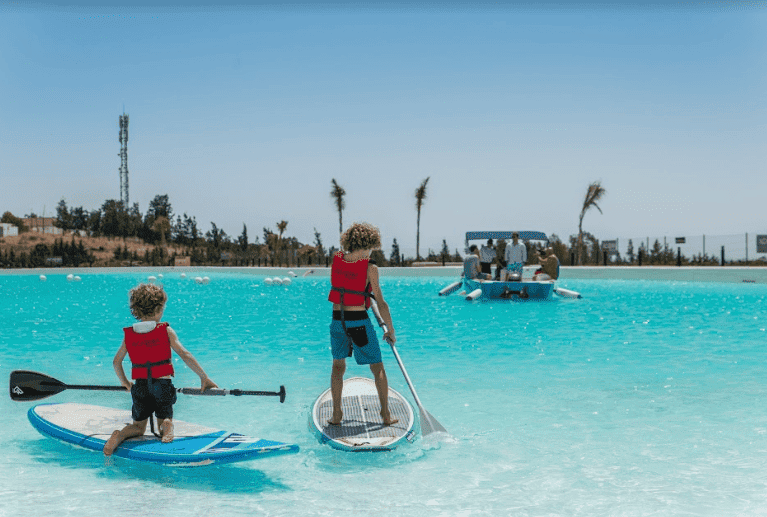 The grand complex also boasts two pools, a children’s pool and play area complete with a zipwire, beach volleyball nets, wood fire hot tubs and a sauna. So far 100 properties have already been sold, while another 78 are currently on the market and are set to be completed from June 2019. Prices range from €220,000 for a two bedroom apartment, and up to €400,000 for a penthouse. Soon there will be the option of an onsite sales and rental office, offering services for those renting out their apartment for a fixed rental guarantee or by splitting rental fees. “We will take care of everything – check-in, cleaning, booking, maintenance, etc. “It will be hassle free for clients as someone will be here in case anything happens,” added Chenevey.